Welcome to this week’s edition of The Friday Five! The Friday Five is a feature that I post every Friday in which I give my thoughts on a topic that’s related to NBA Live, NBA 2K, and other basketball video games, as well as the real NBA, and other areas of interest to our community. The feature is presented as either a list of five items, or in the form of a Top 5 countdown. 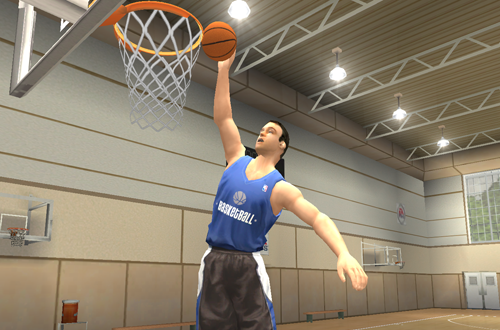 This week’s Five is a list of five moments in basketball video games that were somewhat weird. Most video games have their weird moments, mostly because none are immune to glitches. Any game with random events, real physics, or other elements that allow them to be somewhat organic and dynamic will probably yield unusual results from time to time. In basketball games, we can also see weird results with the sim engine or strange moments when the AI breaks down. It’s safe to say that we’ve all experienced those oddities and have some stories to swap. I’m not talking about those kinds of moments, though. No, I’m talking about the weird moments that were actually intentional on the part of the developers, or are the fallout of something that happened during the development of the game. Even if they’re working as intended, they’re still weird. I’m also thinking about weird moments that we’ve been able to create ourselves due to a design quirk that lends itself to an unusual situation. Some of the moments I’ve listed here are interesting oddities, some reflect a lack of attention to detail, and some are hilariously bizarre. With that being said, please enjoy what I feel are five rather weird moments in basketball video games. One of the common complaints about the story-driven approach in MyCAREER this generation is that there’s often a discrepancy between gameplay and the narrative. For example, you can be rated in the low 60s and putting up numbers that are nowhere near impressive, yet the commentators will fawn over you and hype you up as The Next Big Thing. On top of that, it’s pretty much impossible to fail in MyCAREER. 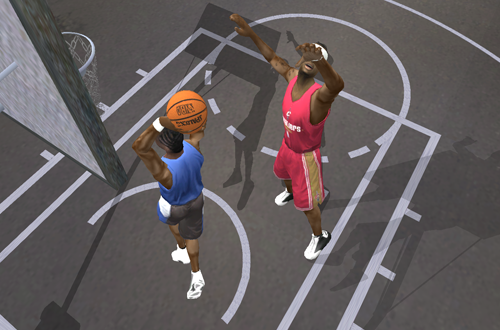 In NBA 2K15 though, it was actually possible to flame out early on. 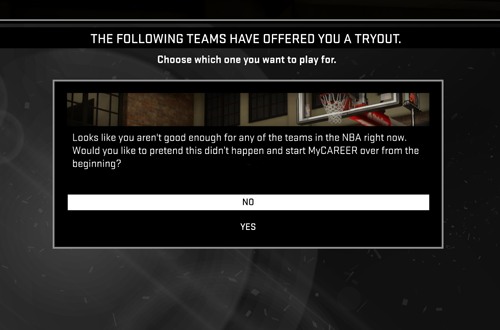 If you were unable to achieve the required Teammate Grade in any of your tryout games as an undrafted rookie, you’d get the Game Over/Try Again screen pictured above. Getting a Game Over in NBA 2K15’s MyCAREER is certainly weird. In fact, it’s basically a contingency plan for the very rare gamer who actually struggles with it, since it’s really hard to fail to latch on with any team without purposely trying to fail. To that end, it’s virtually an Easter egg; you really have to go out of your way in order to see it. Incidentally, if you do get past that point, you can’t fail from there on out. You can end up playing for two teams if you don’t play well enough during your first ten day contract (earning a Trophy/Achievement in the process), but the second team will pick you up for the rest of the season, even if you play terribly. 2. What is Tim Kitzrow saying? NBA Jam Tournament Edition is one of my favourite NBA Jam games, and favourite basketball games period. As I’ve mentioned in various articles including my Wayback Wednesday retrospectives, I’m partial to the PC version as it’s the version I played the most. However, there’s something that’s been bugging me for over twenty years now. In addition to the 27 NBA teams of the era, there’s a 28th team that can be selected to play with. At first it’s a squad of Class of 1994 rookies, but once you’ve defeated all 27 teams and unlocked the expanded rosters, it turns into an All-Star team. When Tim Kitzrow is calling out the name for either team, though, he says…well, have a listen. What is that? I’ve always thought it was somewhere between a screech and a scream, but I’ve heard other gamers claim that it’s “Rooks!” or something similar. I can’t hear that at all, and besides, that wouldn’t make any sense after the team switches over to being the All-Stars. Incidentally, the same clip is used in the Super Nintendo version as well, only it’s obviously not CD quality. It’s always struck me as being extremely weird. Was it a placeholder that got left in and they just rolled with it in subsequent releases? Was it always meant as a joke? Does the legendary Tim Kitzrow actually say something there? I’d love to find out the story behind this weird moment. With all that LeBron James has accomplished in recent years, the debate as to whether he’s surpassed Michael Jordan isn’t going away anytime soon. Of course, as far as the debate over the Greatest of All-Time is concerned, there are some who would name other players, including Wilt Chamberlain, Kareem Abdul-Jabbar, Bill Russell, Magic Johnson, and Larry Bird. I still argue in favour of MJ and suggest that there are a lot of bad takes being pushed by loudmouthed analysts these days, but LeBron definitely is up there among the all-time greats. That’s the very least that can be said about him. Well, that, and the fact that he’s better at basketball than Jermaine Dupri. You might think that goes without saying, but NBA Live 2004 had different ideas on the matter. Granted, LeBron was a rookie in that game, but it still seemed rather odd to suggest that he wasn’t better on the hardwood – virtual or otherwise – than a rapper who was featured on the soundtrack. That is the case though, as the unlockable Dupri is rated 90 Overall to The King’s rather paltry 69 Overall. There were some weird Overall Ratings in NBA Live 2004 owing to the fact that the ratings system changed from 50-99 to 0-99, and the rookies were particularly underrated that year, but Dupri’s Overall Rating made them look even worse. Fun fact: the players.dbf file in the old NBA Live games doesn’t just contain all of the player data. It also included the referees, and in specific games, certain other NPCs. One example of that would be the generic coach who showed up in all of the training cutscenes in NBA Live 2004. Presumably, because the cutscenes substituted in the appropriate players depending on the team you were controlling, the training coach also had to have an in-game model. As such, it was probably easier just to throw him in the players.dbf file, same as the referees. This meant that his data was accessible on PC, and to that end, he could be quite easily modded. He could also be made playable. Changing his TEAM value to place him in the Free Agent Pool was the easiest way of getting him into the active roster. Interestingly, the training coach shares Aaron McKie’s bio data, right down to his Draft information, college, and hometown. With maxed out shooting ratings, he’s a crack shot from just about anywhere on the court. He also has a 99 rating for Dunking, though his dunk package doesn’t allow him to perform any spectacular slams. And yes, at 85 Overall, he too is rated better than LeBron. As his ratings were never meant to be seen or have any effect on gameplay, it’s weird that they’re so detailed and not just generic. I don’t have the words to do this weird moment justice, so here’s a video. Look, I’ve said enough about the quality of NBA 2K18’s MyCAREER story. When I took a shot at mapping out the MyCAREER Cinematic Universe, I suggested that it wasn’t canon. But you know what? I couldn’t stop laughing the first time I saw that cutscene. It was so unexpected, so out of the blue and lacking in context, so utterly ridiculous and weird, that I couldn’t help it. I had to make a GIF of it so that for a time, it could be my avatar in the NLSC Forum. 2K went really wacky with last year’s story, and for that scene, it was completely worth it. There are some oddities on this list, but as far as weird moments go, I feel like it might stand as the weirdest. What are some other weird moments like these that you’ve experienced in basketball games? Were they fun, or were they just annoying? Have your say in the comments section below, and as always, feel free to take the discussion to the NLSC Forum! That’s all for this week, so thanks for checking in, have a great weekend, and please join me again next Friday for another Five. Love the Live 2004 bits. Totally forgot you could play as Dupree. 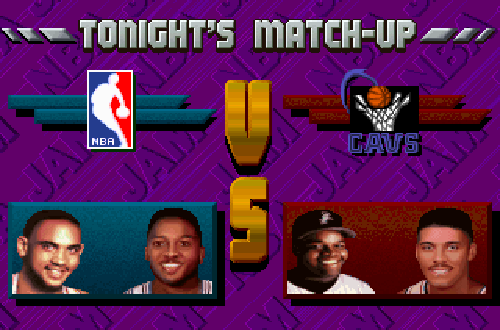 lol, the thing in NBA Jam sounds like a rooster crow. That would be borderline worth getting in touch with a developer to see what that was all about. I’d actually love to get Tim Kitzrow on the NLSC Podcast. If we can ever tee it up, I’ll have to ask about it! Kevin Garnett dancing in Credits menu in NBA Live 2000 was weird too, but at least he got better moves than Mantis. Jason Collier as a referee in NBA Live 06 or 07 (don’t remember correctly). That was not only weird, but also scary. I just went back and watched the NBA Live 2000 credits. 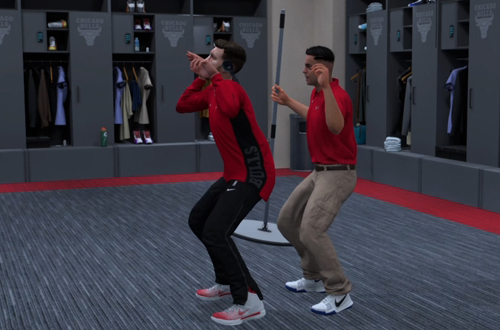 That definitely is weird, right up there with NBA 2K18’s Mantis Dance! I’m guessing what NBA Live 16 actually updates? Every single time I boot up the game like yesterday the game system shows on the start „ca. 100 new records via Synergy Sports have been downloaded”, while the 2015/2016 NBA season is over. Good point. I’m not sure what new data, if anything, is actually coming through in the older games.